Once Aged and Lifeless – Now Brilliant Again! Timber flooring offers a timeless, sophisticated, and elegant look that brings a unique character to any domestic or commercial indoor space. However, over time the quality of your timber flooring will degrade due to foot traffic, accidental spills, and indoor environmental conditions. Country Colonial Floors is a Sydney-based timber flooring company with over 25 years of experience serving Bondi. We provide a professional floor sanding, polishing, staining and liming service to restore the natural qualities of any timber species. By using the latest dustless sanding technology and non-toxic coatings, your living space stays healthy and spotless for immediate enjoyment. If you’re currently building your first home or replacing your current timber flooring, we can professionally install a range of natural, engineered, and laminate timber flooring to suit your individual needs. Call Shane on (02) 9540 9999 to discuss your timber flooring needs in Bondi. Every timber flooring species is unique and you need to understand the exact needs of your surface before committing to a restoration job. Solid timber flooring must have more than 2mm of the remaining top layer. If your timber flooring has been professionally sanded at least 3-4 times, it cannot be sanded any further. 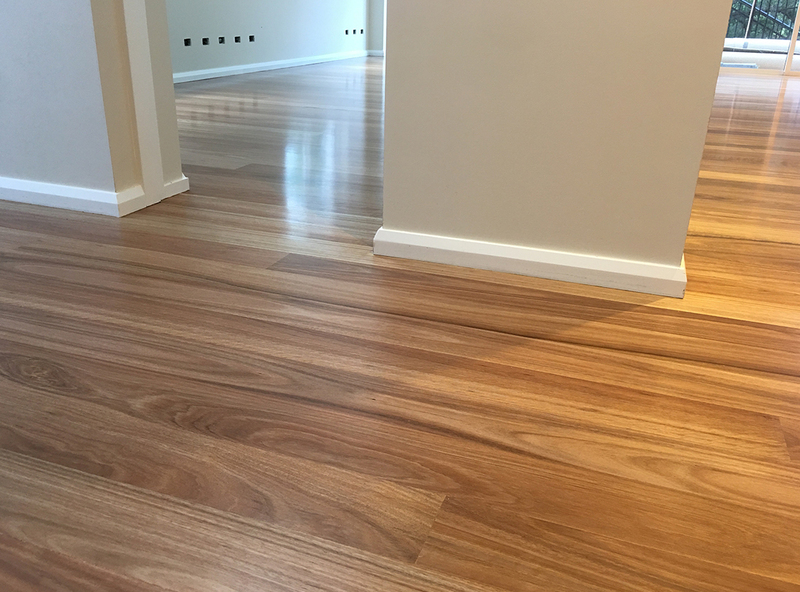 If your timber flooring cannot be sanded, the Bondi team can still give your surface a comprehensive polish. Country Colonial Floors uses the latest sanding and polishing technology to remove unwanted surface marks and produce a matte or glossy finish depending on the amount of traffic flow. We sand the existing layer at least three to four times and use sandpaper with different grit each time to produce the perfect finish. Our sanding equipment automatically collects dust to speed up the vacuuming job and ensure your living space is spotless after the treatment is finished. Afterwards, we polish the surface and finish the job with your choice of penetrating oil, wax or water-based polyurethane solvents. Water-based solvents are slightly more expensive, but are more eco-friendly and leave behind a much weaker scent. Drying times for each finish varies from 3-7 days depending on the temperature, humidity, and other environmental conditions. Staining and liming is the most effective way to change the appearance of your timber flooring. They’re also designed to strengthen the timber and its natural resistance to warping when exposed to the harsh elements. If you’re looking for a darker and more mature appearance, direct staining offers a timeless look that enhances the dynamic of any living space. If you want a lighter appearance or wish to remove inconsistencies within the timber itself, liming will make the surface appear brighter and give the living space a distinctive appeal that’s unique to the liming process. Before committing to the treatment, you get a selection of colour samples prepared on site to help you make an informed decision. Get in touch with Shane on (02) 9540 9999 or fill out the online form. We’ll be happy to discuss your timber flooring needs and arrange an onsite inspection on a convenient day and time for you. Country Colonial Floors is available Monday to Friday (9am – 5pm) for floor sanding and restoration in Bondi.